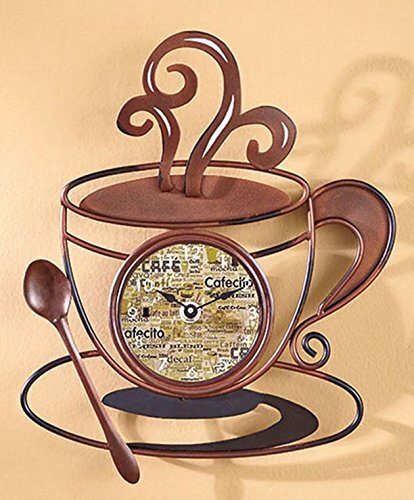 I love coffee and a kitchen done in the coffee theme is a very fun option. 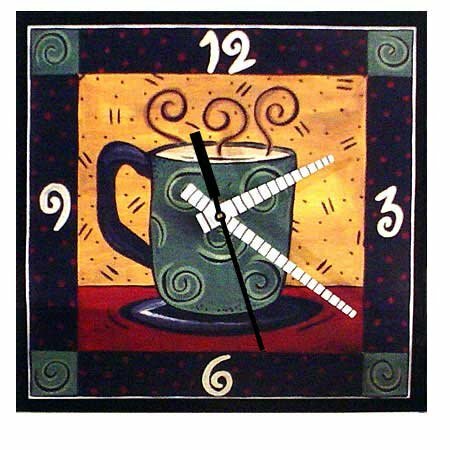 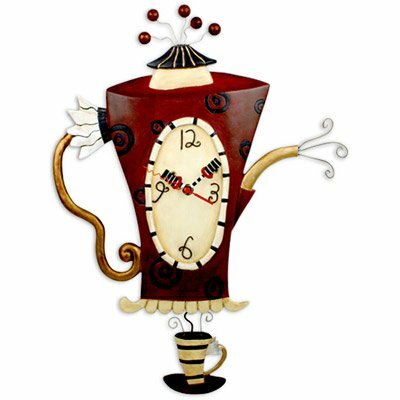 Believe it or not there is a nice selection of clocks for the wall that have our favorite hot beverage as a part of the design. 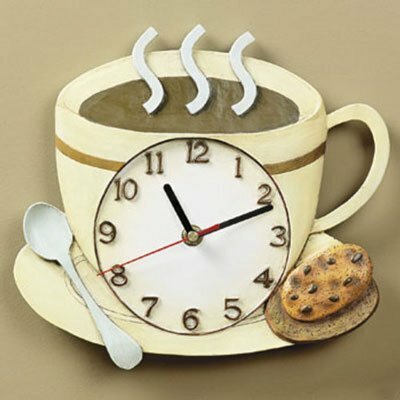 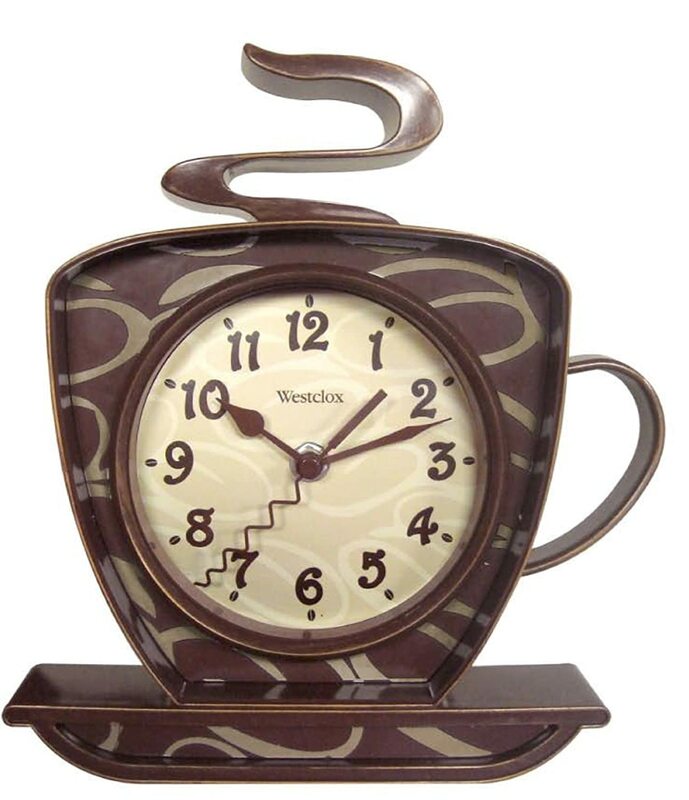 Any one of these fun clocks would be so cute in a kitchen when you are using a coffee theme or actually with several styles of interior design. 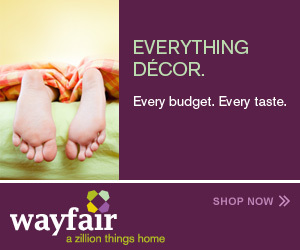 It might be that they fit the color scheme that you are using and are still a fun addition to the wall because of the room that you have it in. 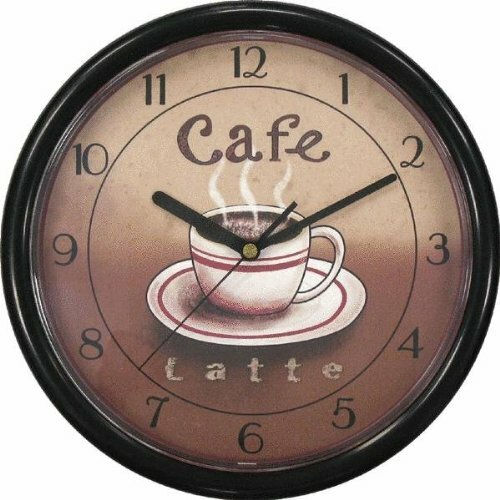 At our house, it is always Coffee Time!